Now daughter and mother run the two Blessings outlets and enjoy a loyal following of customers from all over the country. How did the dress business start? The dress business started when Karen, “I’ve always loved shopping…” opened her “new to you” shop. Demand for bridalwear increased and when a designer approached her to sell new gowns, Karen sensed an opportunity. A second shop in the parade came on the market, the Hacketts split the business into bridalwear and occasions wear and the successful formula of today was established. What do you aim to achieve for your customers? 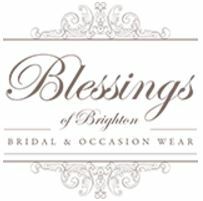 “In bridalwear we stock sought-after labels. People will travel to see us – believe me, girls research their wedding dresses!